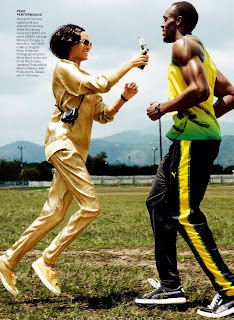 American Vogue's love affair with Puerto Rican model Joan Smalls continues with a stunning only-girl editorial in the fashion bible's June 2012 issue. 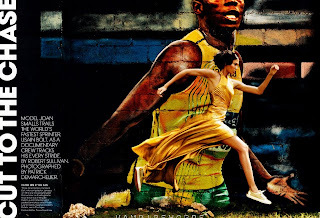 Smalls is captured by legendary photographer Patrick Demarchelier whilst trailing the world's fastest sprinter and three time Olympic champion Usain Bolt. 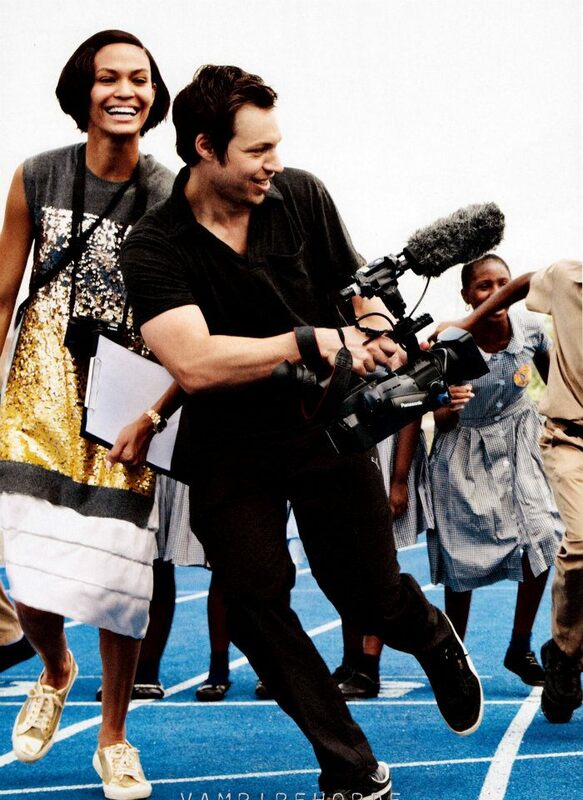 The editorial shot on location in Jamaica, took place in conjunction with the filming of a documentary about Bolt. Smalls it seems is also gearing up for a blistering year, with trail blazing cover appearances for Italia Vogue, Australian Vogue, and Pop Magazine, not to mention editorials in American Vogue, Paris Vogue, W Magazine and Love. American Vogue clearly has Smalls marked for greater things, having featured the twenty-six year old supernova in four out of six of its issues this year alone. Watch out for another international Vogue cover to surface within the next two months, with all bets being placed on it being a race to the end between the French and American Vogue editions to keep up to speed with modelling's brightest star.